Exciting range of fun, stylish tags in a variety of shapes and colors – from sparkly fish to colorful bones and paws! 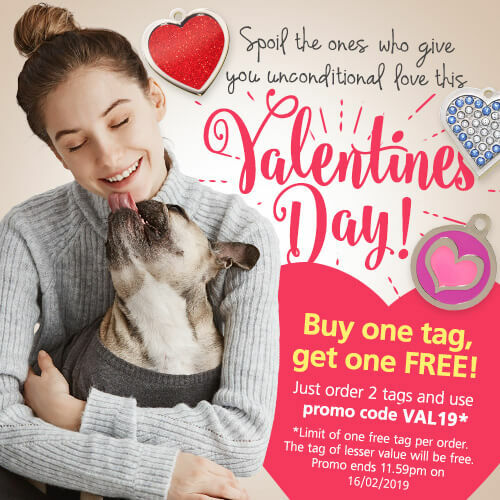 These round metal alloy tags, finished in nickel, feature colorful enamel images on the front – from gorgeous hearts and flowers to bones, paw prints and kennels. Our attractive Glitter tags are made from rust proof nickel and steel, reflect at night and are epoxy coated to ensure that the enamel image won’t fade or get damaged. They come in a range of sparkly colors and designs and make a great accessory for any stylish dog or cat! All designs are engraved in a clear upper case font. These stunning tags are set with genuine, sparkling Swarovski crystals in a range of colors and designs, and are a must for trendy dogs and cats! Our durable range of anodized Aluminum tags are strong and lightweight and can be laser engraved on both sides, in a clear upper case font. 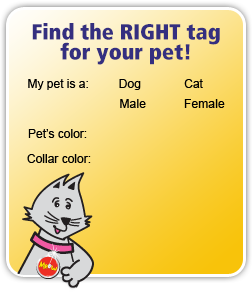 They are especially good for pets who are quite rough on their tags. They come in a range of eight colors and various shapes, including rounds, hearts, bones and cat faces. All our tags are engraved using our state of the art laser engraving machines and are guaranteed for 5 years from the date of purchase against breakage and fading*. *Conditions apply. Please refer to our Guarantee & Replacement policy, below. As our metal tags are deeply laser engraved, your tag/s may arrive with some cloth fibers still attached, or even with a bold finish. If this is the case, simply wipe over your tag/s with a cloth (e.g. polishing or jewelry) to smooth over the engraving and/or remove any excess fibers. 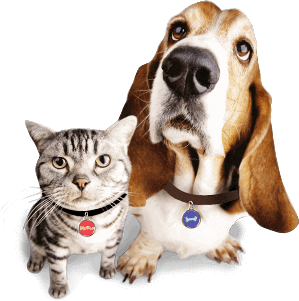 If we have sent you a faulty tag, the wrong tag or have engraved information on your tag that is different to the information originally provided, simply fill in our tag correction form, ensuring you provide a photo of your tag/s, and we will gladly send you a replacement tag free of charge. In the event of a claim under our guarantee, we may request return of the tag.